Well, I was a bad little girl today so I am officially punishing myself. Today, I drove over the speed limit, said a few curse words, I didnt drink enough water, and put my elbows on the table at dinner. I think the only fair punishment is early bed time. I know it sounds a little bit harsh but that is the punishment...what can I say. I did indeed have a really good day, my eating was on track and I got a good workout in this morning. 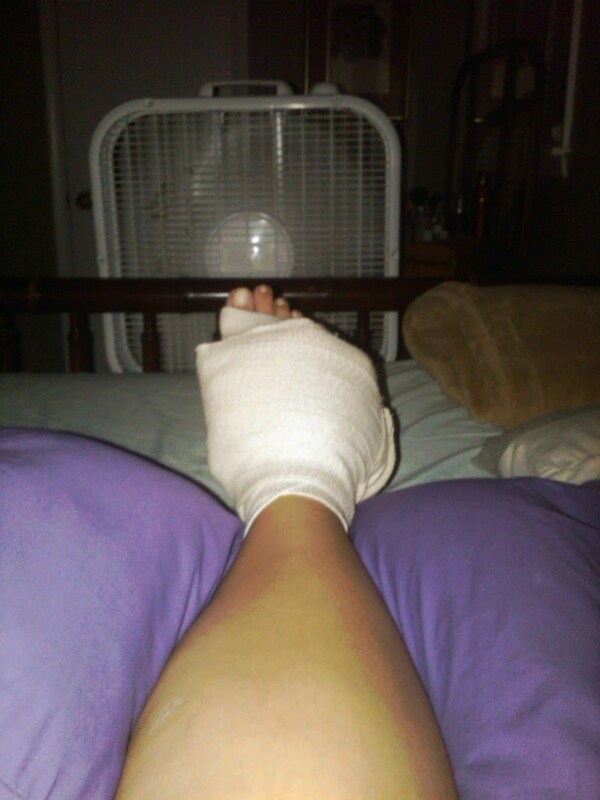 I didn't run tonight because I thought I was just too tired and my foot is giving me some trouble. I actually have it up right now with some ice. Hopefully it will be feeling better tomorrow. I'm planning on running in the morning. I normally don't run in the mornings on Sundays because I have to be at church so early but in honor of the holiday tomorrow we have a late service. Woo Hoo sleep late. So now my 15 minutes of computer time is up...you know, punishment and I'm being forced into bed. I guess Ill just have to accept the consequences of my actions. Hope you all have a marvelous 4th. Remember to be safe! For us, our considerate neighbors were still shooting fireworks at 11:30! Every year I get irate on the night of the 4th! Always keep up with your blog! Keep it up girl. I lost a toenail getting in shape for my wedding lol. Yummy!